Kitchen & Dinning There are 17 products. 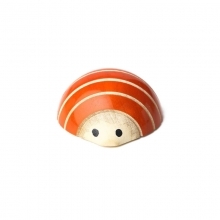 Wooden fridge magnet for kids.Beautifully crafted with ivory wood.Prettified with high glossy lacque matrail.Designed with colorful Cheesslice model. 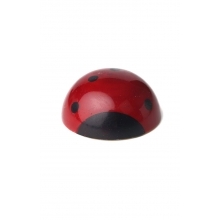 Wooden fridge magnet for kids.Beautifully crafted with ivory wood.Prettified with high glossy lacque matrail.Designed with adorable ladybug model. 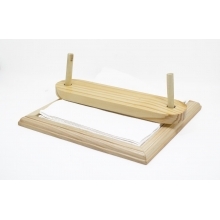 Wooden vegetable cutter for kids.Ideal for cutting & chopping tender vegetables & fruits. Safe and efficient.Specially designed for children.Attractive and optimum anti slip design for better grip.Smartly crafted by skilled Channapatna artisans. 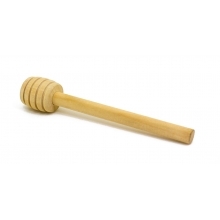 Wooden honey stick made of soft pine wood Light weight, safe & easy to use. The slotted periphery of the stick ensures maximum honey extract. Smarty crafted by skilled artisans from channapatna. Pretty wooden tea holder. Specialized for dining and meeting table. Colorful, blossom design. Smartly crafted by skilled artisans from Channapatna. 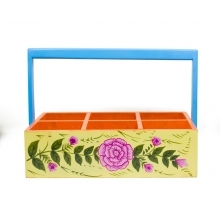 The wooden Spice Box, painted with pretty flower design. Colorful design and optimum geometry to suit both as spice box or cutlery holder. Enhances the culinary charm. 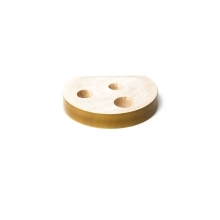 The SKF Cutlery holder (Spoon, Knife, Fork) is made of wood, with handsome finishing. 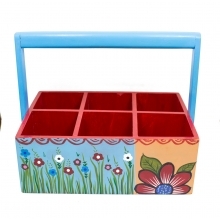 Suitable for kitchen ware, dining table etc., Attractive and well organised. Smartly crafted by skilled artisans from Channapatna. 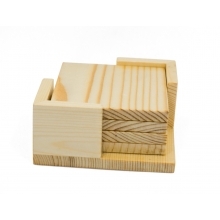 The ultimate compact and utilitarian wooden cutlery holder. Attractive design and geometry with the hybrid finishing of Dark Beach wood and bright pinewood. Smooth touch feel, catchy appearance. Smartly crafted by artisans from channapatna. Coaster set made with pine wood and naturally finished. Suitable for dining table, meetings, coffee table. 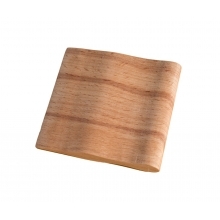 Made with high quality pine wood with impressive touch feel.